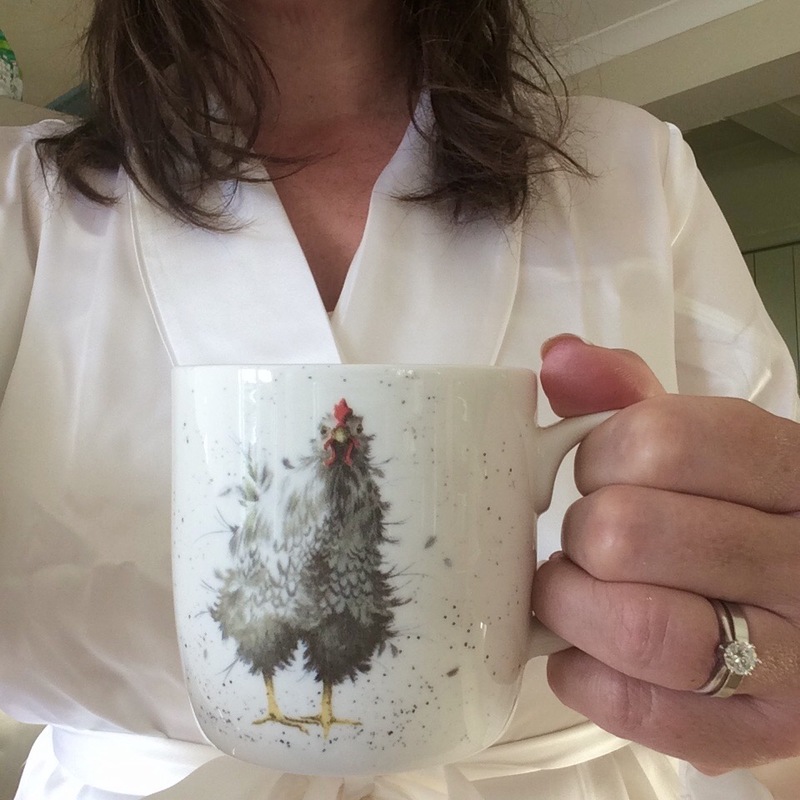 Sunday Sevens is a weekly blog series started by Nat at Threads & Bobbins whereby you show seven photos of your life outside of the blog. This week is a combination of three weeks worth of photos, ‘cos I seriously haven’t had time to organise many blog posts lately, and there are considerably more than seven photos so you might want to get a cup of tea before you start! 1. 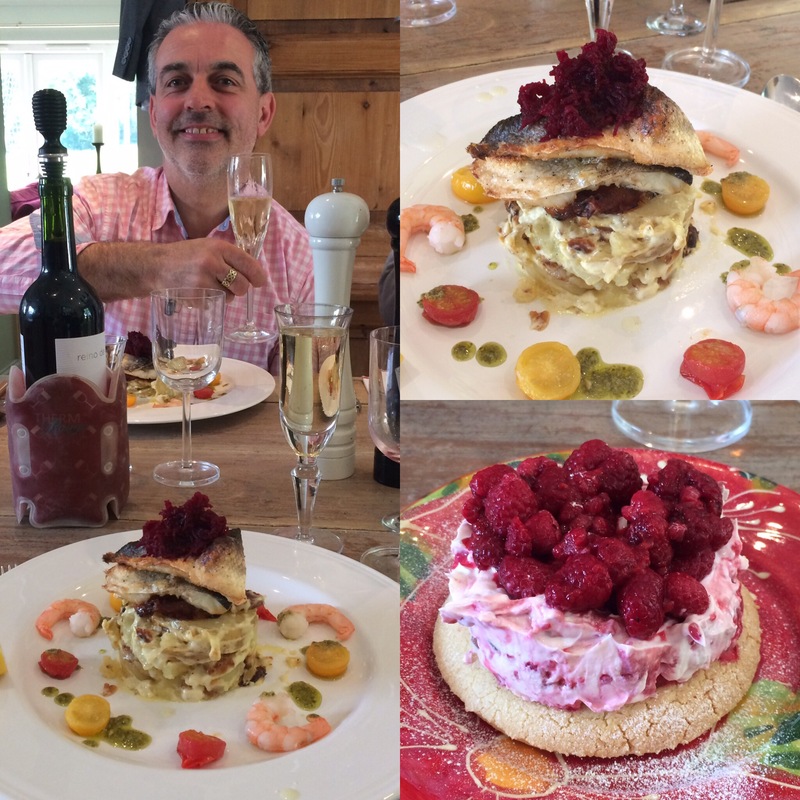 We have been having a lot done on the house over the last couple of months, most of which I haven’t yet blogged about…..does a wall of mirrors in our en-suite and Koi Carp in the cloakroom ring any bells? 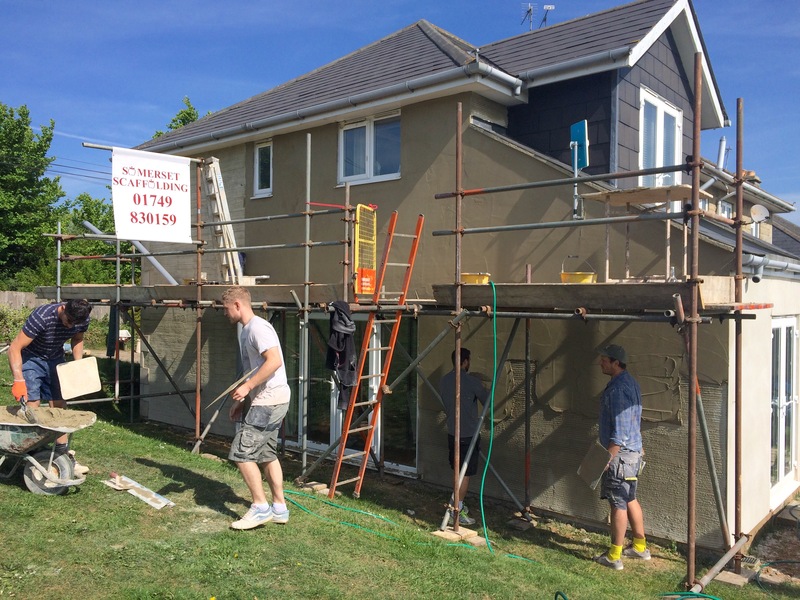 We’ve also finally got around to having the massive extension at the side of the house rendered, which meant bacon sandwiches and endless cups of tea for the plasterers. 2. We also had the builders in to put a new roof on the old downstairs bathroom, which is now a sun room. 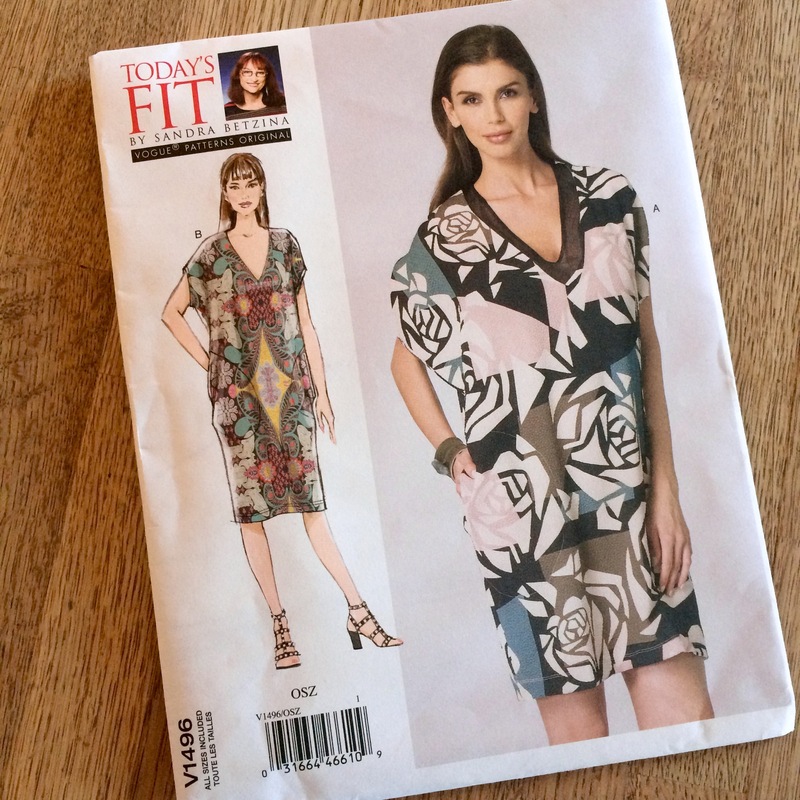 I know, I know, I haven’t blogged about that yet either! 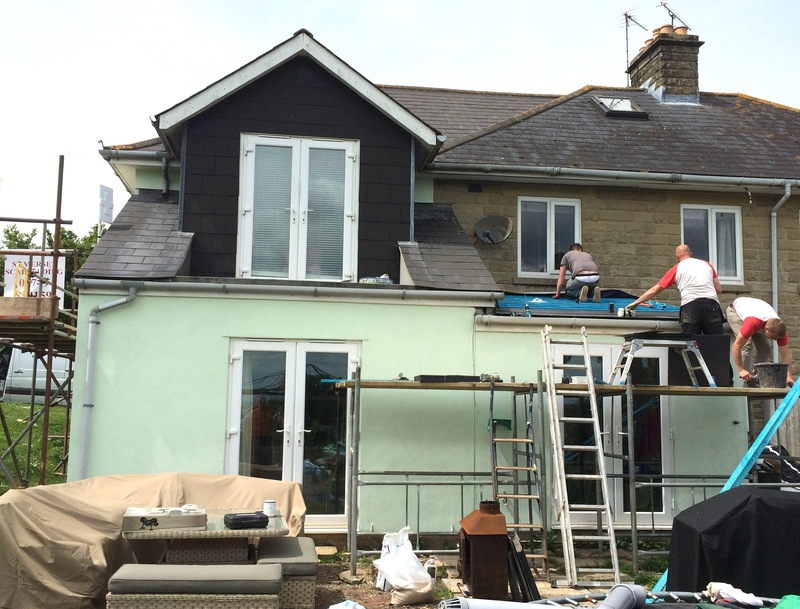 The old concrete tiles were replaced with slate ones to match the rest of the house. 3. 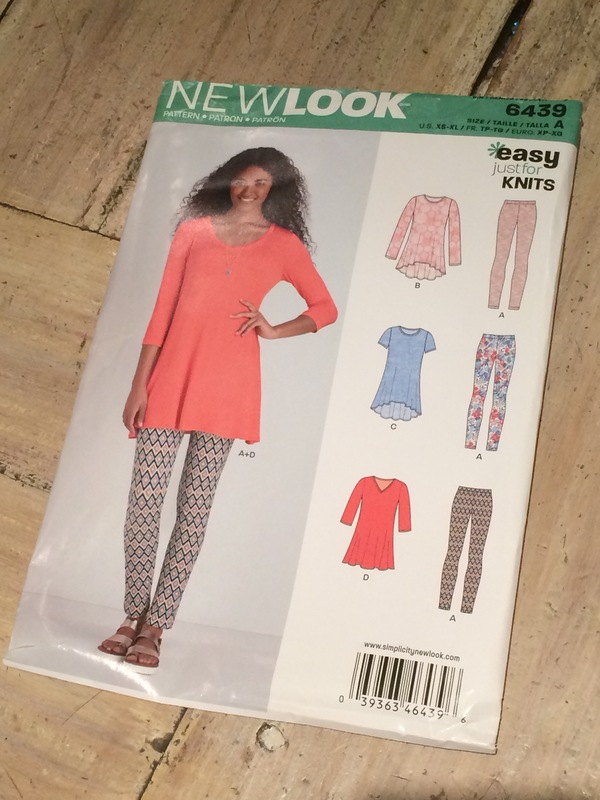 I’ve done quite a lot of sewing, starting with my trusty old leggings pattern. I made these in brown leatherette. 4. 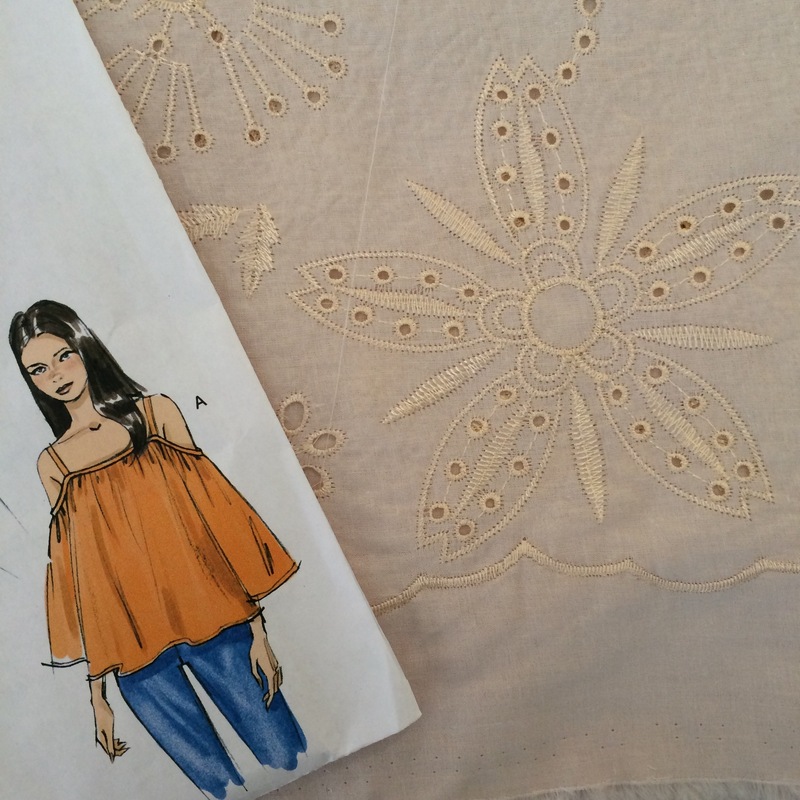 This top was made in one sitting too. 5. I made this dress in a bright floral linen. I just need to get Mr H-L to take some photos of me wearing them, then I’ll blog them all. 6. The Boy’s school asked for contributions for a stall at their Summer fair, so I’ve also been making things for that. 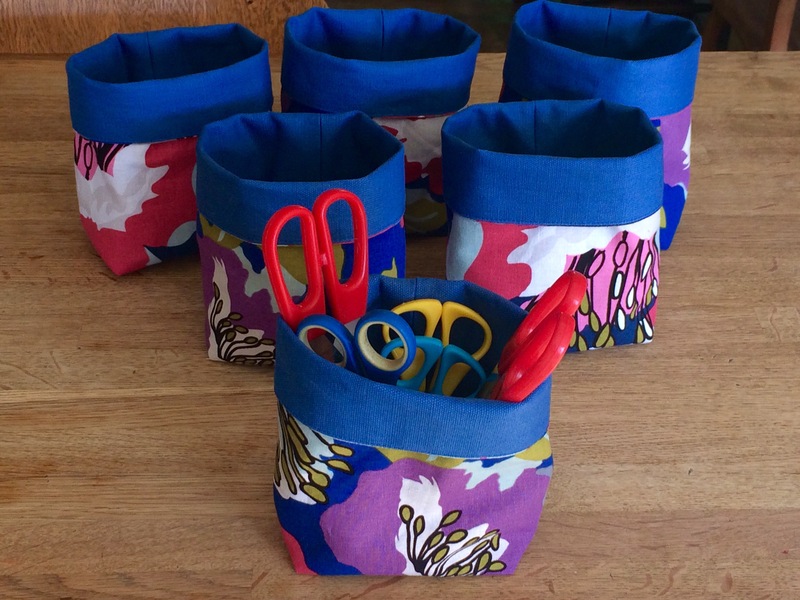 These are handbag tissue holders. 7. 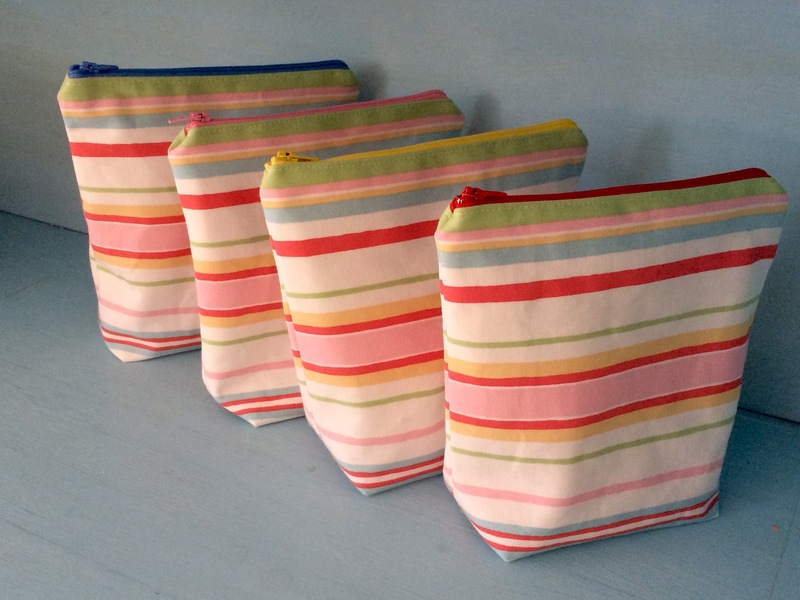 There was enough of the same fabric to make four wash bags as well. 8. I bought a large piece of blue canvas for £1.00 from a charity shop a while back and used this, together with the remnants from the dress mentioned earlier, to make six little storage pots. 9. 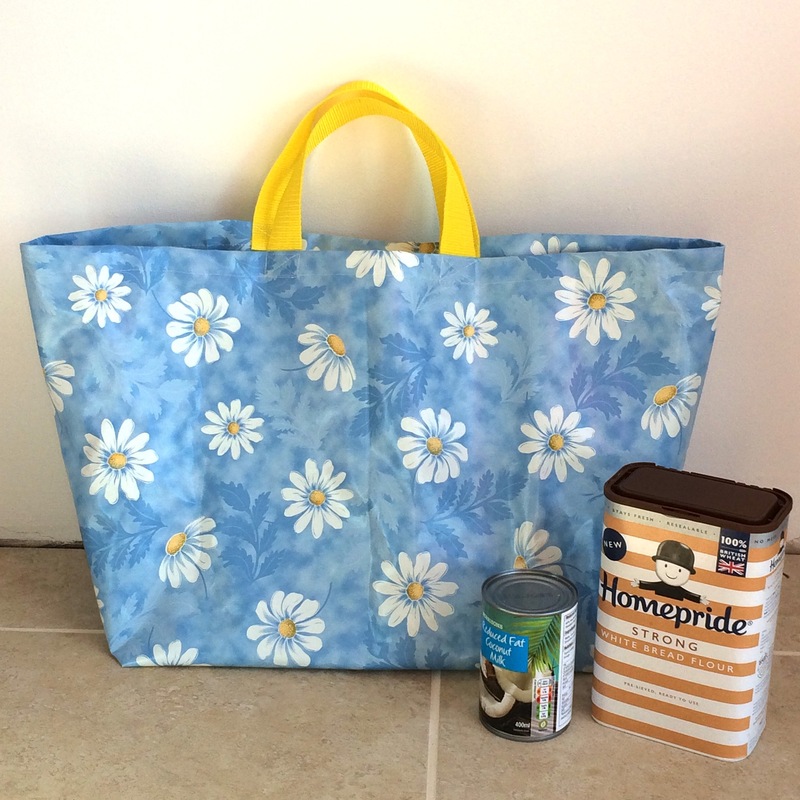 I had a little leftover oilcloth from a previous project, which was just enough to sew a quick shopping bag. 10. 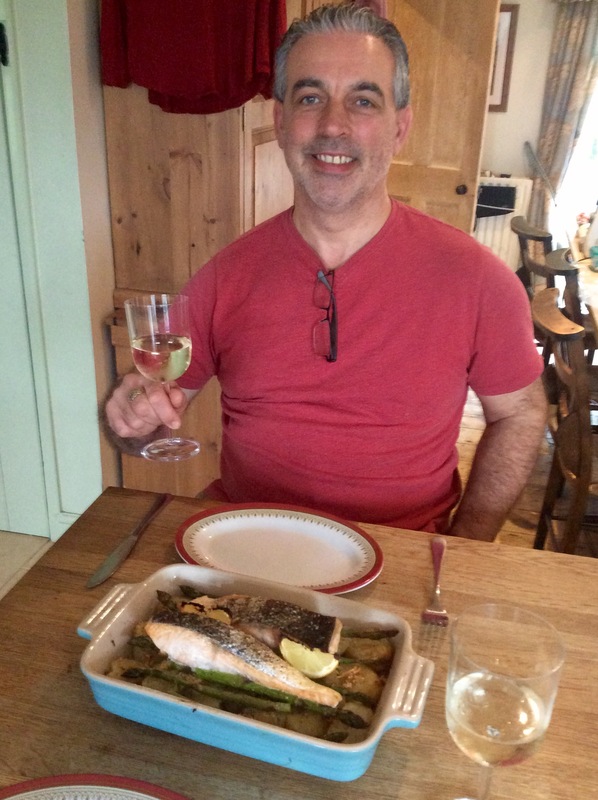 We had friends round for supper so I spent a whole afternoon making a decent meal for them. 11. Home serves as both office and restaurant for Mr H-L!! 12. It’s not been all work and no play though, and we’ve been out a few times. 13. 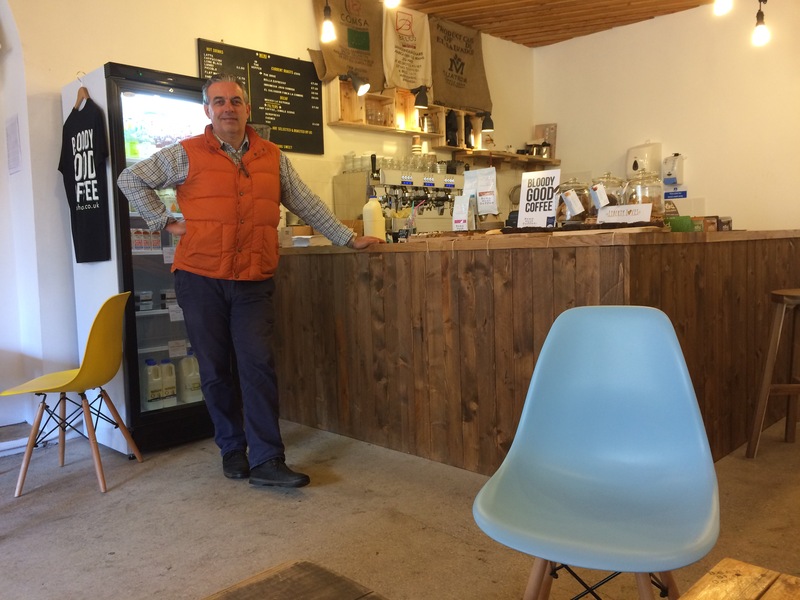 We found a new coffee shop in Sherborne that does “Bloody Good Coffee”. 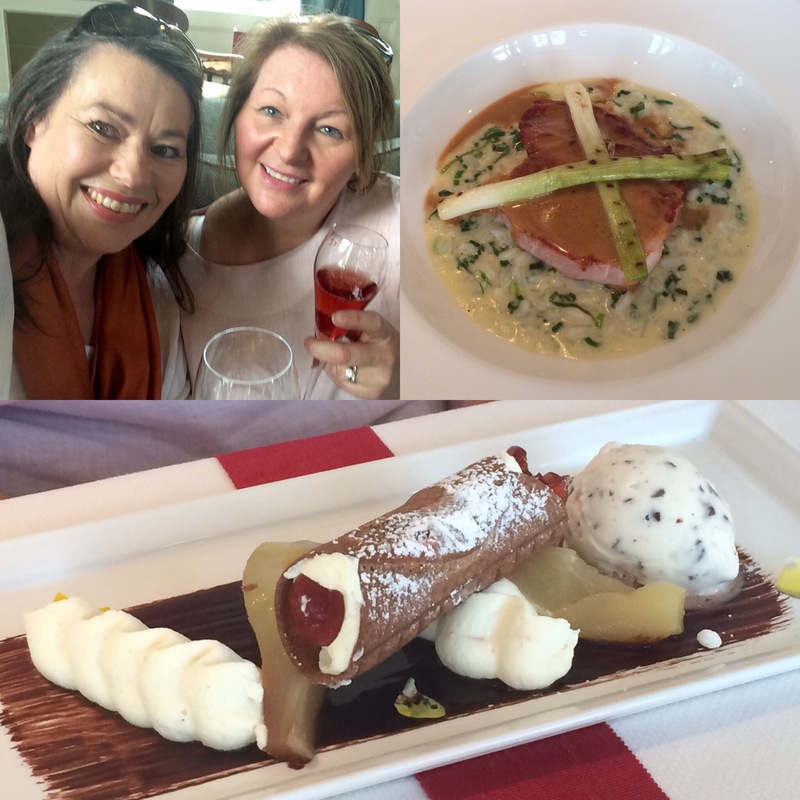 It was – and the chocolate brownie wasn’t bad, either. 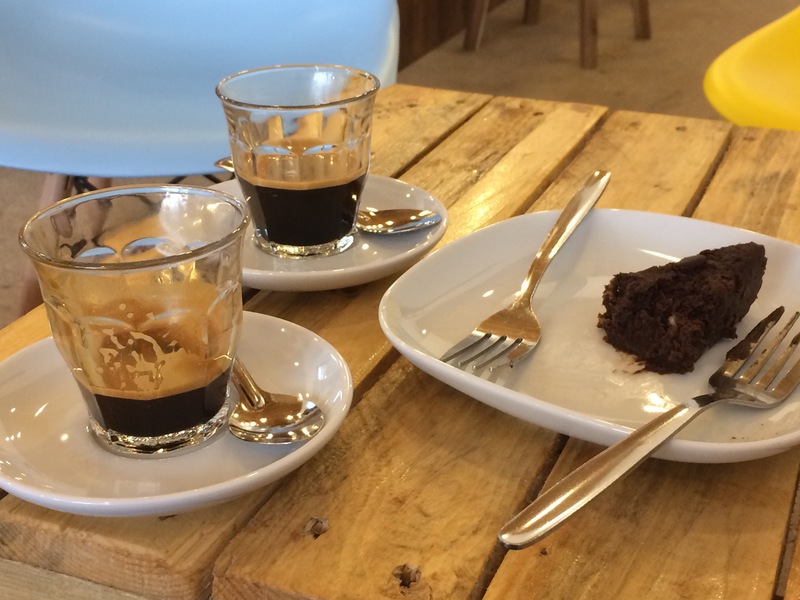 They serve half-slices, which is perfect for someone without a sweet tooth but, despite ordering “Half a brownie and two forks”, we still struggled to eat it! 14. 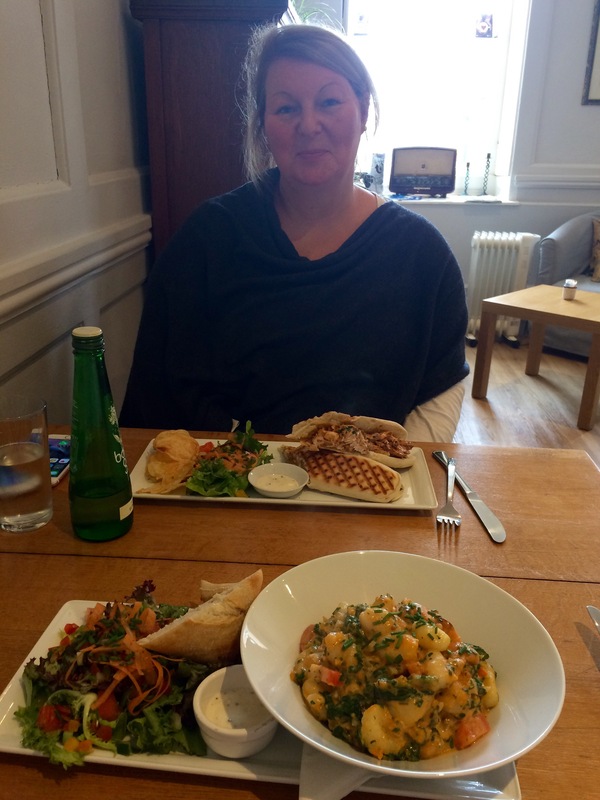 Spot of lunch whilst shopping for a new kettle with a friend in Sturminster Newton. 15. 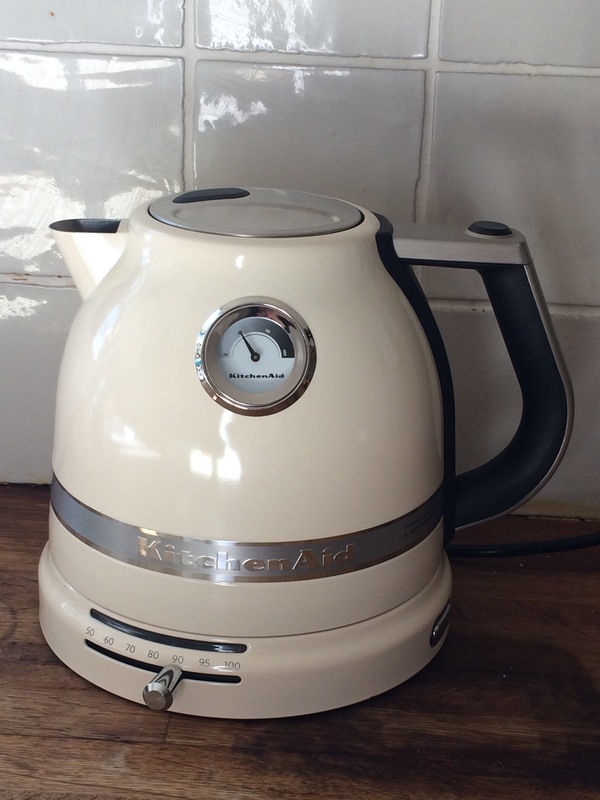 Said kettle – the old one developed a leak. Mr H-L likes this one because it has lights and makes a beeping noise. Men! 16. 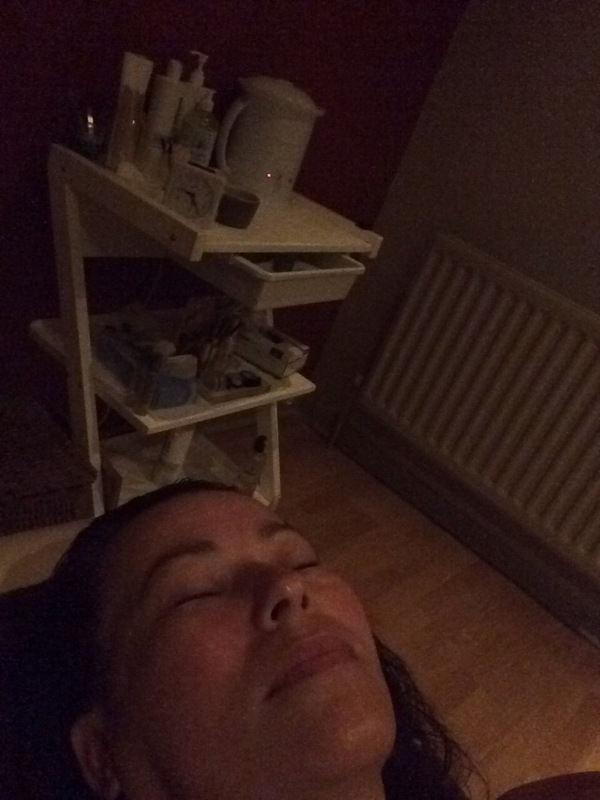 This was just after a quiet, relaxing facial – not easy to take a selfie in these conditions! 17. 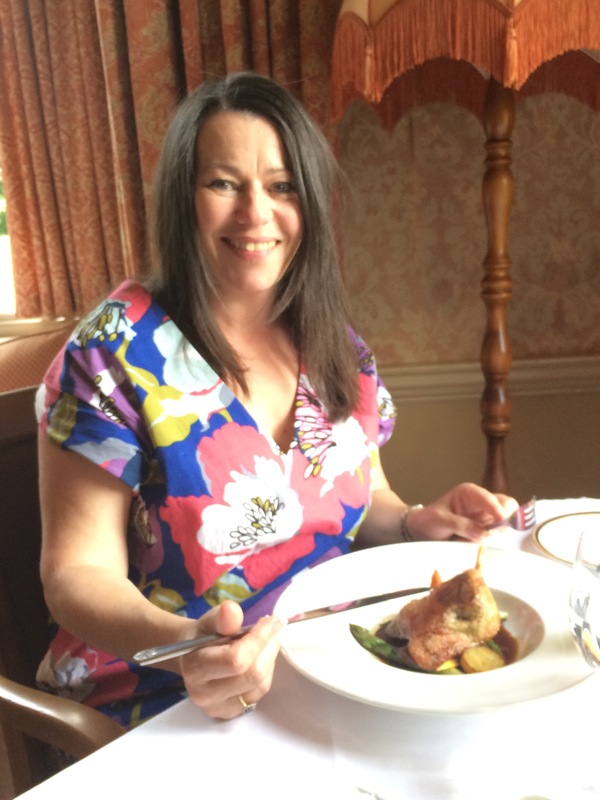 After collecting a friend from hospital, we had lunch at Summer Lodge in Evershot. 17. Sewing classes are still going strong. 18. We found this little cutie in the hen house one morning. 19. Couldn’t resist a cuddle! 20. 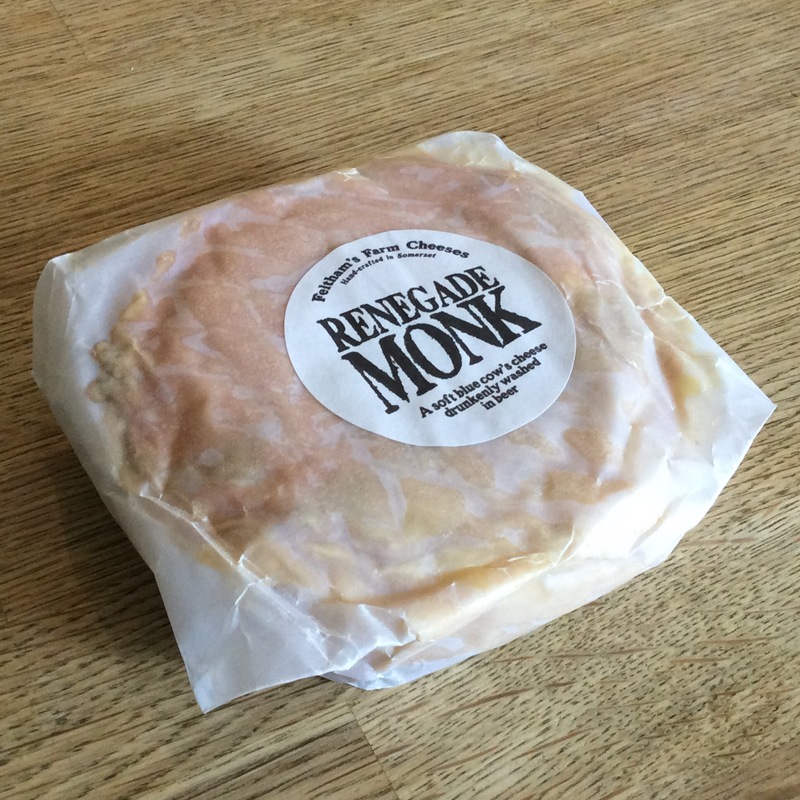 Our friend is a new Artisan cheese producer – if you come across “Renegade Monk” in the future you must try it. 21. 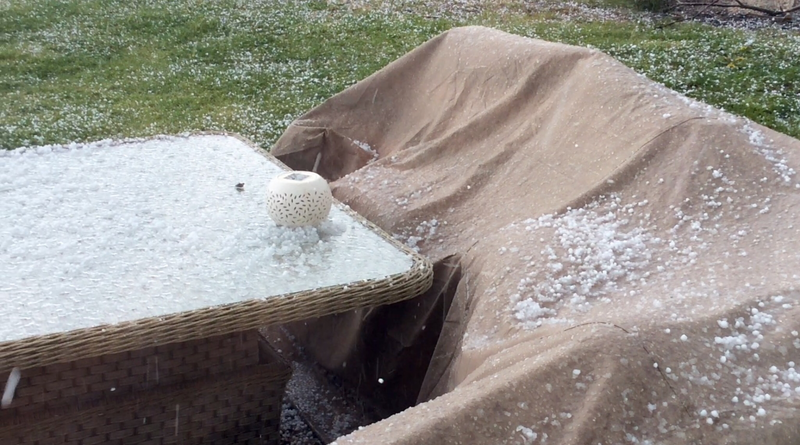 Just as we were looking forward to Summer, Winter made a late appearance in the form of a prolonged hailstorm. 22. 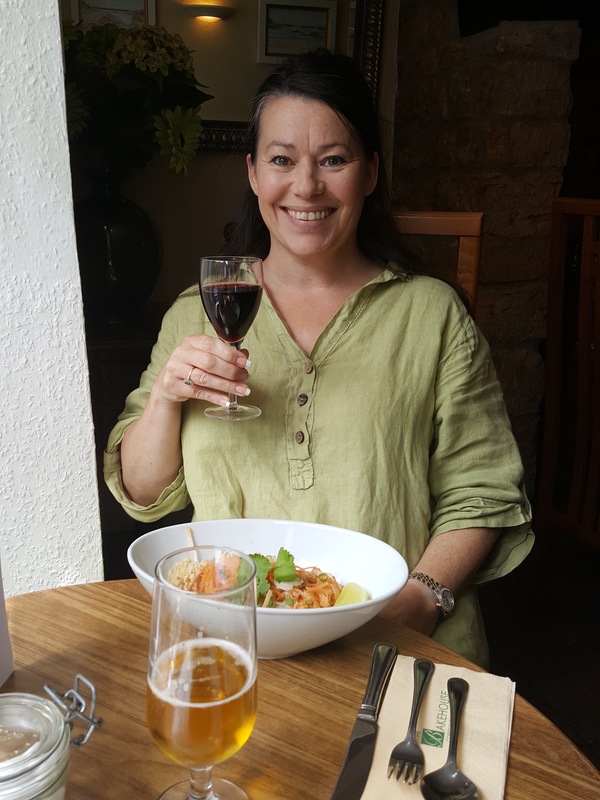 A lovely Thai lunch at The Old Bakehouse in Castle Cary with Mr H-L.
23. The latest addition to our mug collection by Wrendale Designs. I just love the illustrations! 24. And finally, to end on a high, this is No.3 Son working the dance floor like his hero Patrick Swayze in Dirty Dancing. Enjoy! Categories: Sewing, Sunday Sevens | Tags: charity makes, chick, dancing, fair, renovations, school, sewing | Permalink. Oh my! What a full and delicious post!! You certainly pack a lot in! I’m going to come back to this when I have more time to savour every moment! No3 son’s dancing is SO fabulous!!!! I certainly did enjoy! Does he know you have shared it with the world! Yes, he gave me permission to put the video on the blog – he’s such a character! It was three weeks worth, hence all the photos, yet there were still a lot more I edited out. 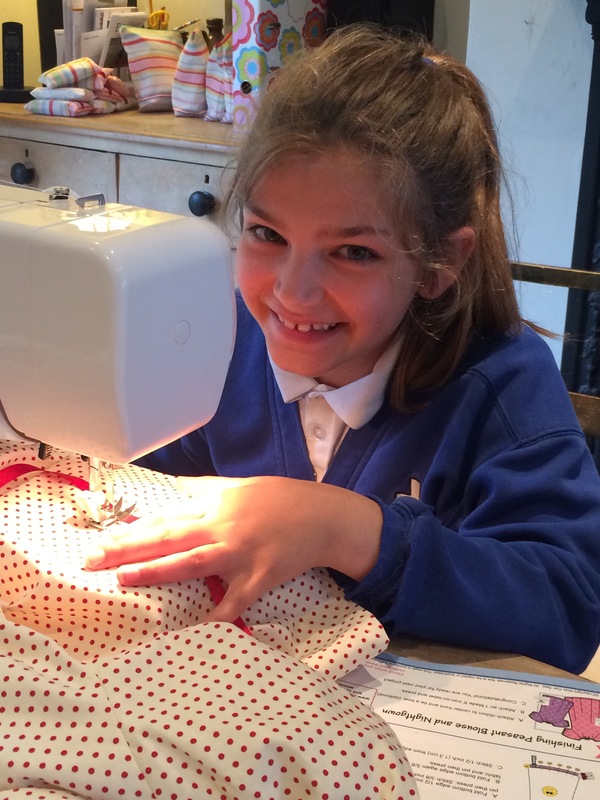 Glad you liked all the sewing bits and pieces – let’s hope they sell and make a few pounds for the school funds. Ahh – the school fair. 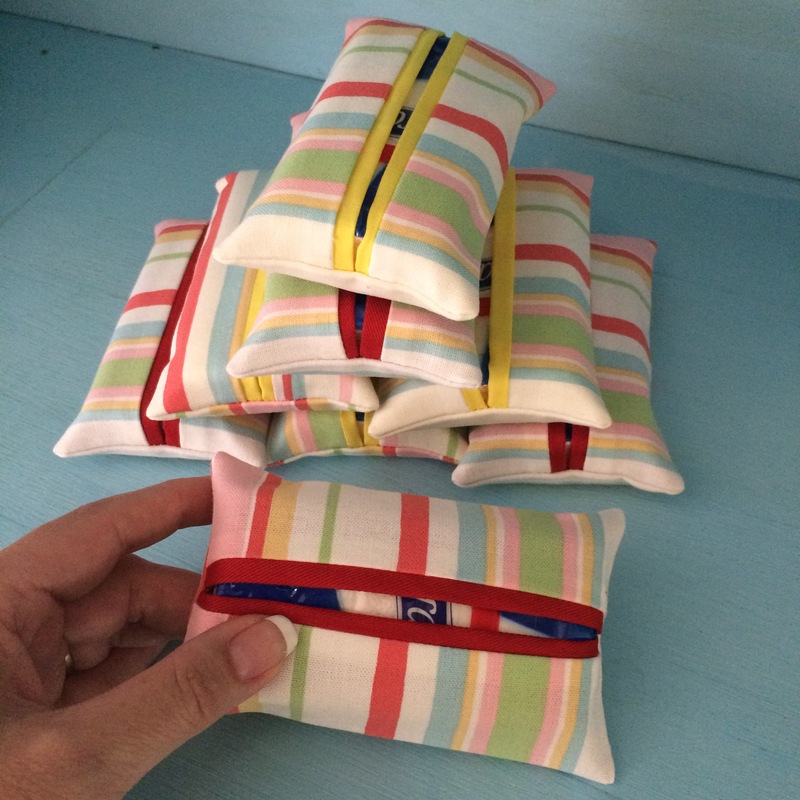 Those little tissue holders are a great idea – everybody needs a packet of tissues in their bag. 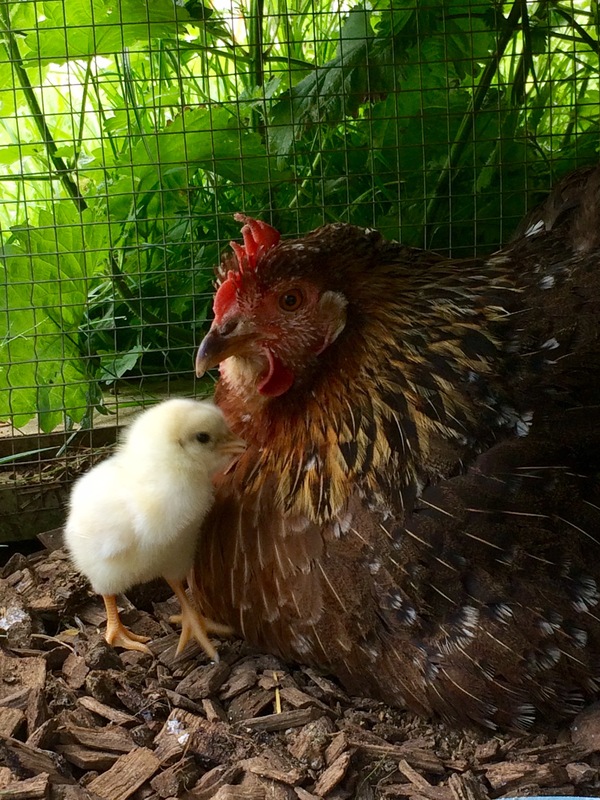 Do you know why the little chick didn’t survive? 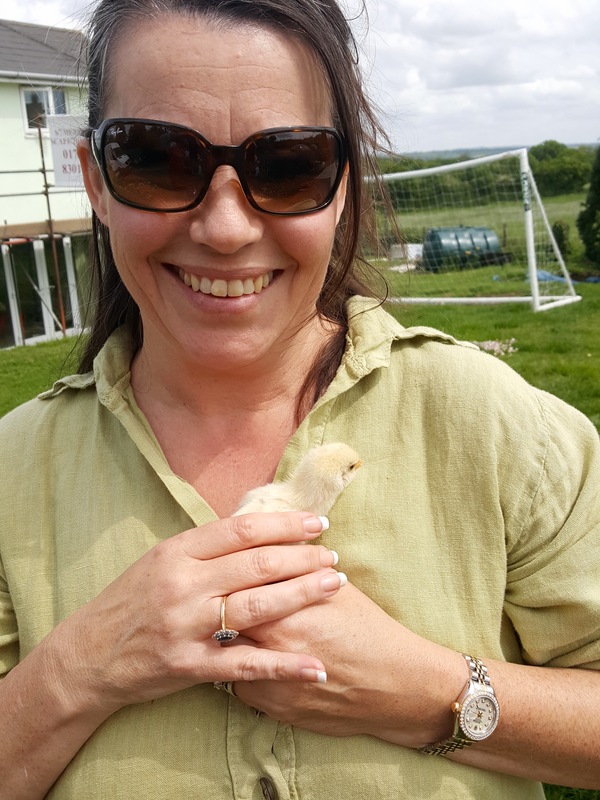 That little chick was so sweet, shame she didn’t survive. I love all your makes for the school fair. I hope the school knows how lucky they are. All that food, looks so tempting. Good luck with the building work. Thanks Cathy, nature can be a cruel thing. I make lots for the fair each year and it is appreciated – I even had a special mention in the programme one year, lol! It’s never exactly fun having building work done (the mess) but we’re nearly there now. I’m playing catch up as usual!! I’m definitely up for eating out with you 2 if you can’t finish puddings!! I’ll be able to help out!